The rapidly shifting landscape of the modern-day music business has given Soulive the opportunity to take such an unconventional approach to releasing music. Soulive has never made any bones about what they do best; it’s right there in their name. 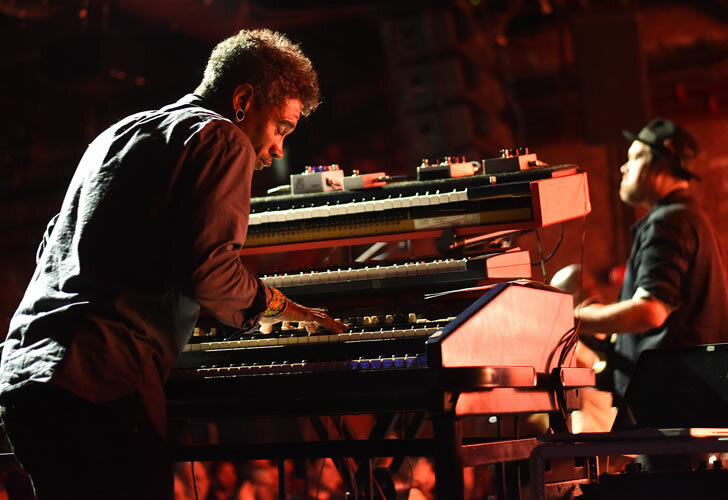 Since forming in 1999, the trio of guitarist Eric Krasno, drummer Alan Evans and keyboardist Neal Evans has carried the torch for the soul-jazz organ trio—that venerable, funky institution pioneered by the likes of Jimmy Smith, Brother Jack McDuff and Groove Holmes Jimmy Smith in the late ’60s. Rest assured, when the Evans brothers first brought Kraz by their Woodstock studio, there was plenty of old vinyl spread out on the floor. In their 20 years together, Soulive has followed the muse in the direction of hip-hop, R&B, blues and rock, collaborating with the likes of Chaka Khan, Dave Matthews, Talib Kweli, John Scofield, Derek Trucks, Maceo Parker, Susan Tedeschi, Robert Randolph, Joshua Redman, Kenny Garrett, Fred Wesley, The Roots, Ivan Neville and so many others, even going so far as to record a full album of covers by The Beatles (Rubber Soulive). But, no matter how they push the limits of the organ trio, they always come back to their bread and butter: blistering solos and grooves that don’t quit.